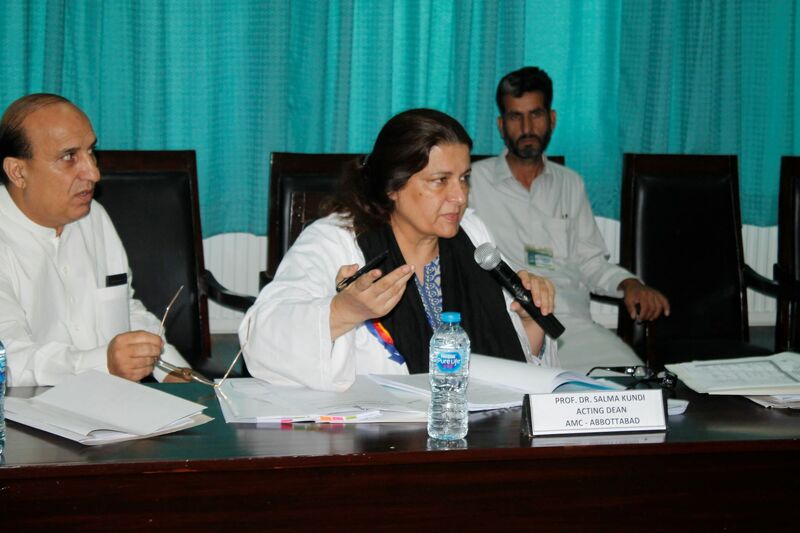 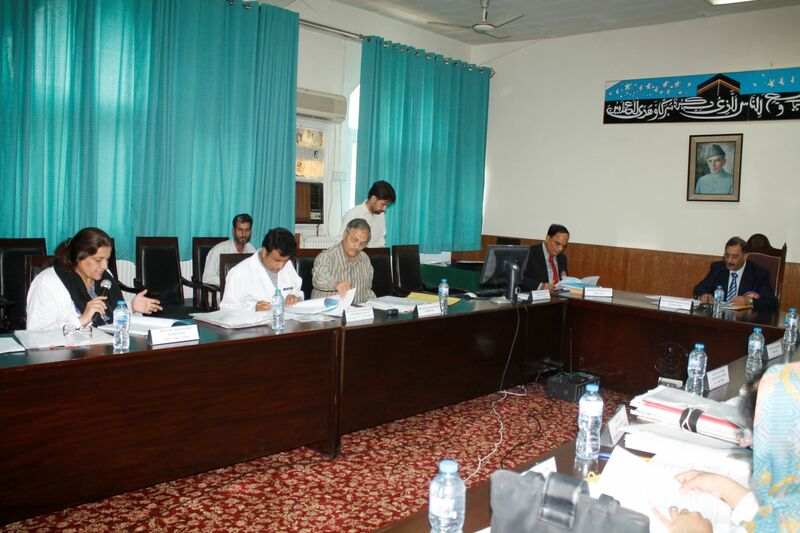 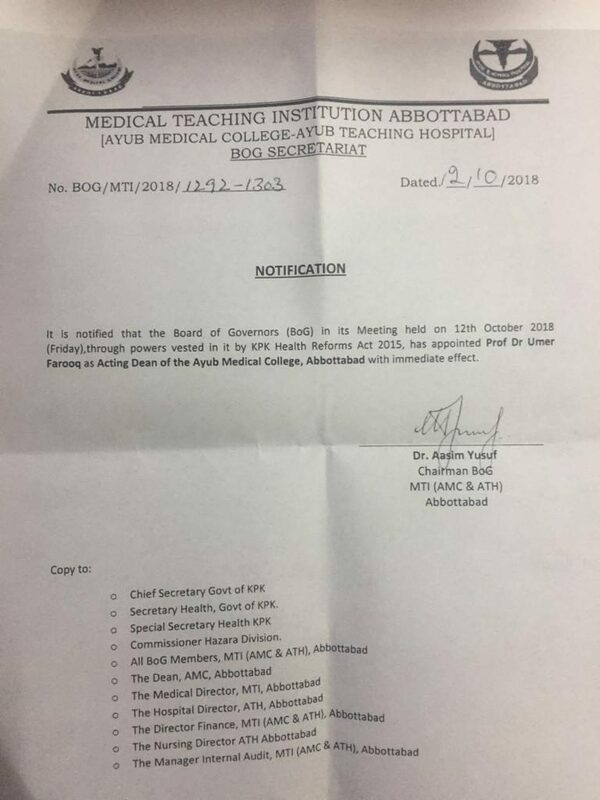 Board of Governors Meeting - Ayub Medical College, Abbottabad. 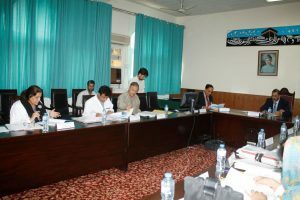 On September 15, 2018 Board of Governors meeting held in Conference Room of Ayub Medical College, where various problems and issues of college were discussed and decisions were made. 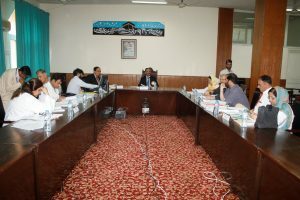 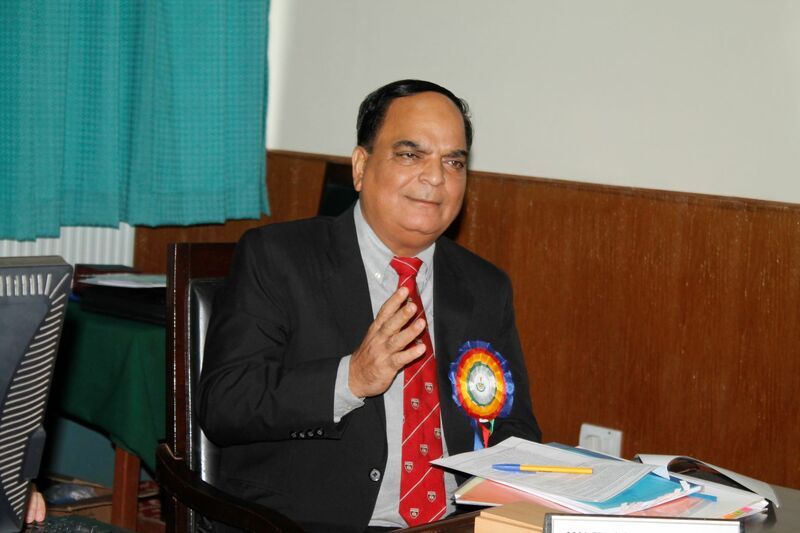 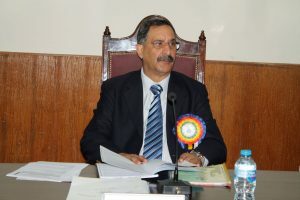 The meeting was chaired by Maj General (R) Professor Dr. Asif Ali Khan, Chairman BoG. 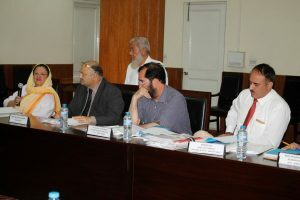 It was attended by all of the members of Board of Governors including Maj Gen (R) Muhammad Ayub, Prof. Dr. Aftab Rabbani, Mr. Javed Ahmad Turk, Prof. Dr. Khurshid Khattak and Ayaz Khan Jadoon. Executives including Dean Prof. Dr. Salma Aslam Kundi, MD Prof. Dr. Raza Muhammad Khan and HD Dr. Khiyal Afridi were also present there.